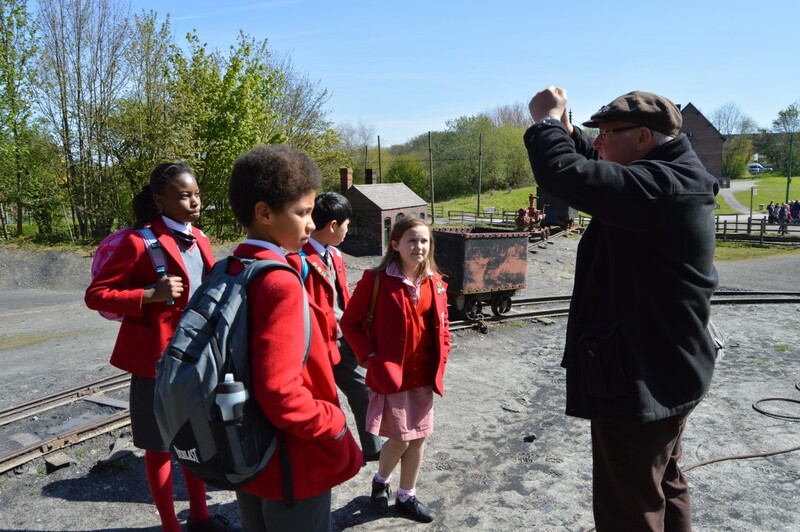 On Wednesday 4th May J6 went to the Black Country Living Museum to find out about the lives of four children who had lived in the Victorian times, to support our biography writing in English and our topic of Victorians in History. We were all fascinated by how each building had been moved to the museum – each individual brick was numbered so they could all be put back exactly in the right place. Each house or shop gave us valuable insights into the daily lives of children at the turn of the century and we began to realise just how much we have today, from food and health provisions to education, technology and leisure opportunities. The Victorian school experience was enlightening and the staff brought back some traditional methods of teaching to incorporate in our lessons today! Going into the mine was a memorable experience. Conditions were harsh and very dangerous; boys as young as 12 worked 12 hour days and the life expectancy of a miner was only 40, so we were pleased to have only experienced life in the mines for a short time. Before we left, we had a brief time at the fair ground. The moving walk way, the Helter Skelter and the 100 year old waltzer were all especially fun; X-boxes, PS4s and ‘phones can all be thrown away! As expected, all the children were extremely interested and well behaved – well done J6!